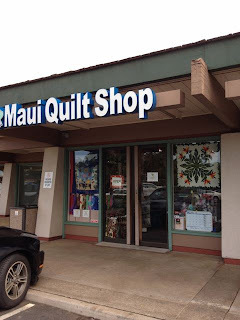 While visiting Maui, I had time to check out the two fabric stores that are excellent resources for quilters. 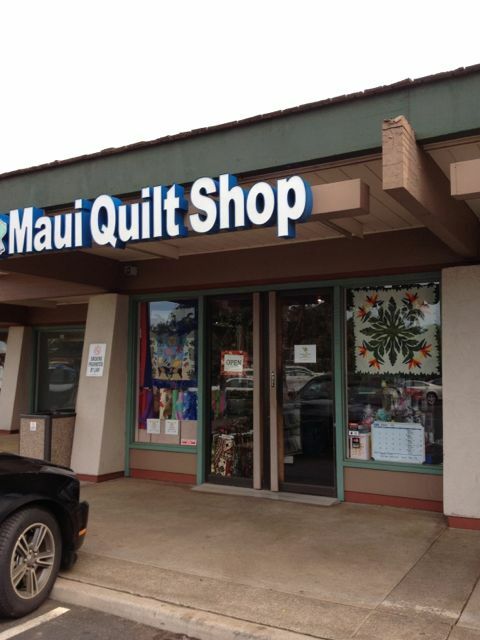 The first, Maui Quilt Shop, is located in Kihei. 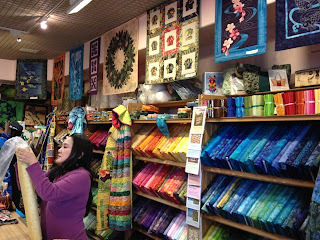 The store is small but has a really wonderful selection of fabrics ranging from batiks to Hawaiian prints. There are kits and patterns and a nice selection of accessories. Aren't those colors luscious! 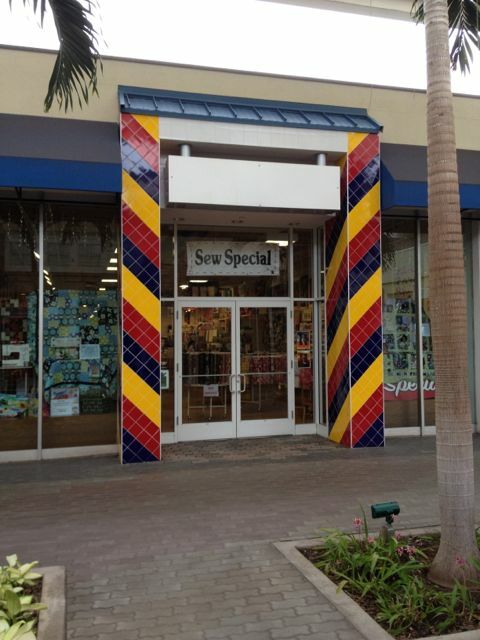 The second store, Sew Special, is located over in Kahului in the Queen Kaahumanu Shopping Center. 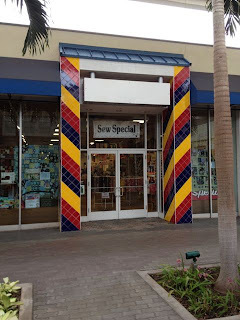 Sew Special is a much larger store. It sells Bernina machines as well as quilt fabrics, kits, and accessories. Both stores are worth visiting. They sell many of the same high end quality fabrics and the staffs in both locations are helpful. I found the fabric selection to be much more extensive at Sew Special than Maui Quilt Store but Maui Quilt Store puts a lot of effort into unique kits and fabric packages. Both are definitely worth visiting on a trip to Maui. Nice little quilt shop in Maui. Pretty easy to find. Staff was very friendly and helpful. Great selection of Hawaiian patterns and fabric. And they have their own Maui themed printed fabric.